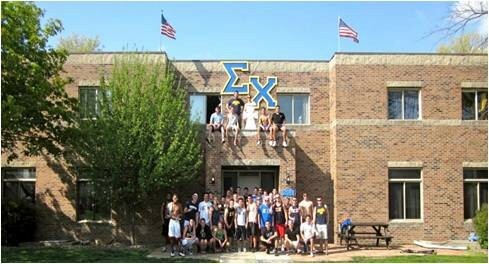 "Men join Fraternities, leaders of men join Sigma Chi"
EatStreet's "Best Fraternity In Normal"
Sigma Chi has the most chapter houses nationwide, with over 300,000 brothers. We also have the most alumni chapters. 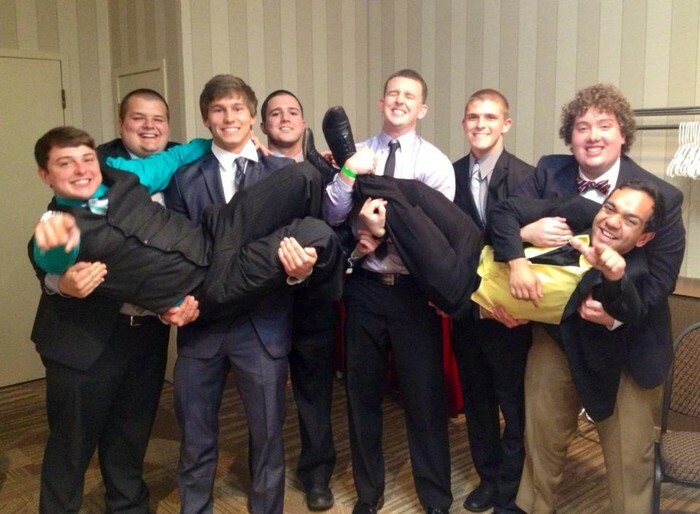 At Illinois State, we have 83 active brothers as well as hundreds of alumni who are involved in our chapter. 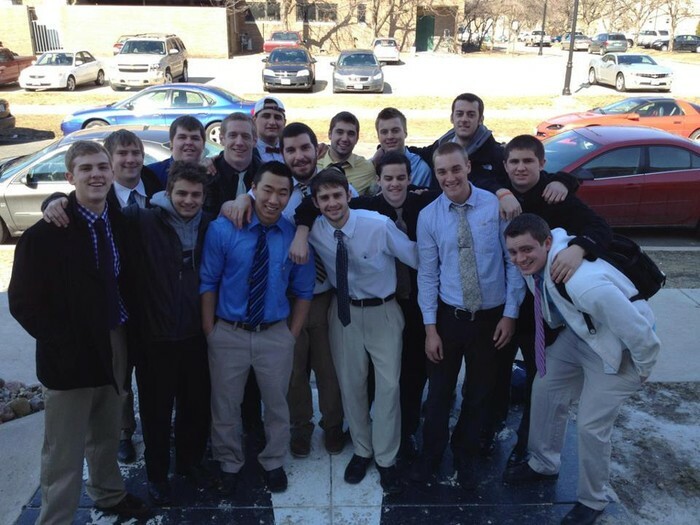 Brotherhood is what we pride ourselves with at Sigma Chi. Every year we have our Michael J. Wiseman 3 on 3 Basketball Tournament and a Super Bowl Bash. 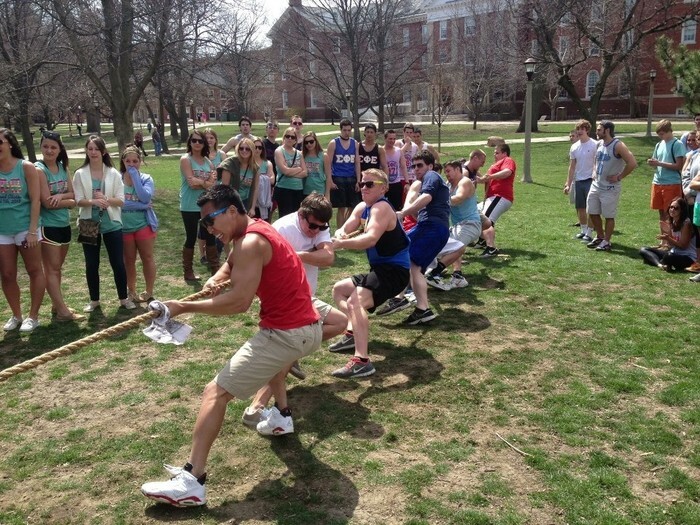 We also have football games, softball games, cookouts, and many other brotherhood events. Our house is located at 208 West Willow Street, Normal, Illinois. We have 14 rooms housing 32 men, as well as the Presidential Suite for the President and Vice President to live in. Along with a full kitchen if you want to make your own food, we also have a full-time chef who prepares 3 meals a day. 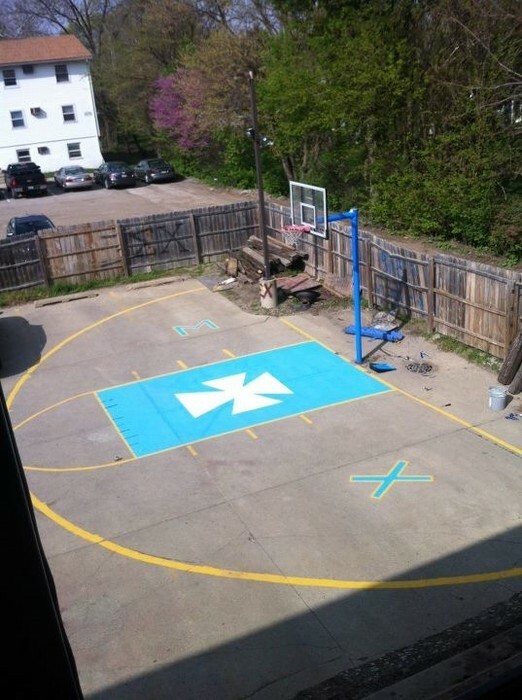 Pictured below, you will see our basketball court that our own men paint every semester. We also have a billiards room, a study, dining room, and a living room. Also pictured below, we have our balcony. 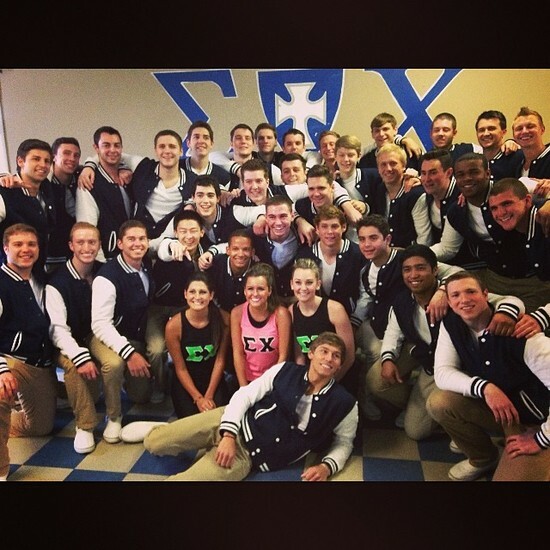 Sigma Chi's national philanthropy is Huntsman Cancer Institute. 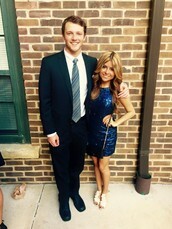 Each year ISU's Sigma Chi donates over $8,000 to HCI. 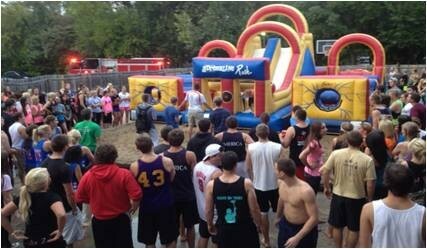 We raise the majority of our money through Derby Days, a week long philanthropy involving sororities with competitions such as dance off, sporting events, and house decoration. Along with our philanthropy, we also help others meet their philanthropic goals. 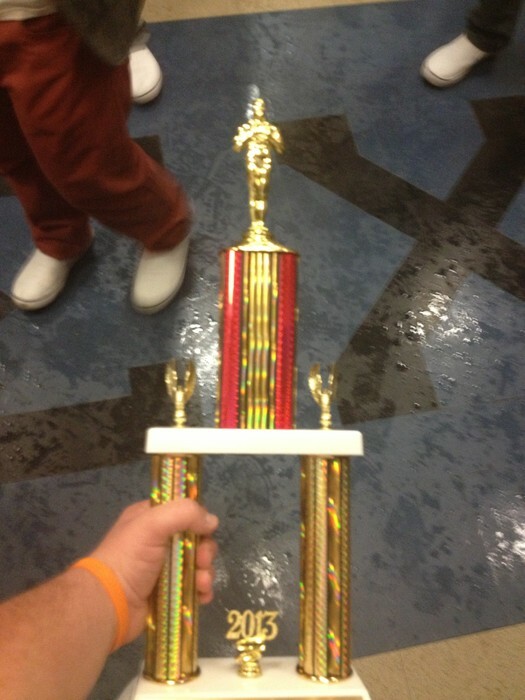 We won Chi Omega's March Madness, a dance competition involving every fraternity and sorority on campus, where they raised over $28,000 for Make a Wish Foundation. 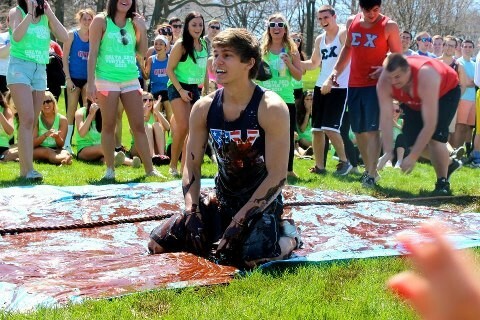 We also attend Gamma Phi Beta's Crescent Classic, Zeta Tau Alpha's 5k, Delta Zeta's Spaghetti Dinner, Phi Sigma Sigma's Kickball Tournament, and Alpha Delta Pi's Lovestruck Date Auction. 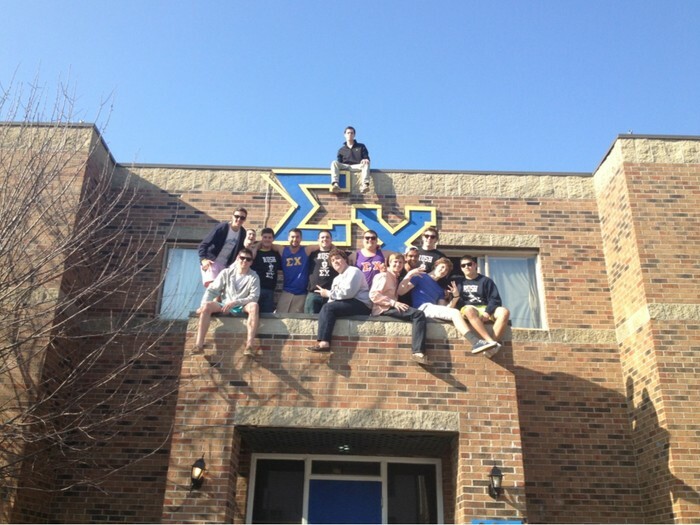 As Sigma Chi at Illinois State, we do not keep to ourselves. 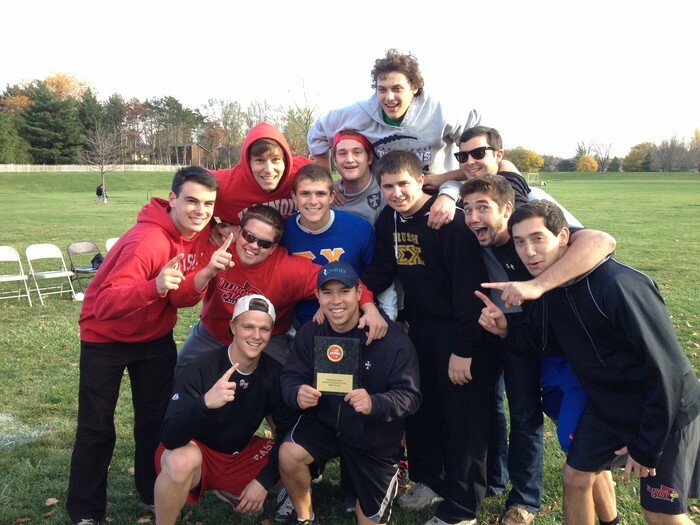 Our men are very involved in many clubs and organizations on campus. Many of us hold leadership roles on campus. 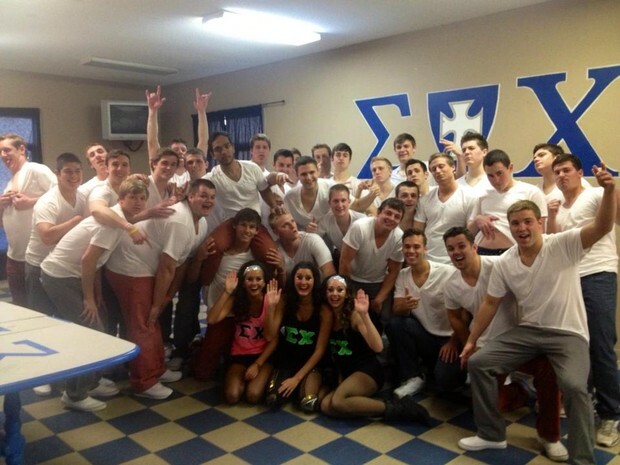 Illinois State's Sigma Chi currently has the 2nd highest GPA for all IFC Fraternities. Our actives have 47 different majors and many are involved in major specific clubs and organizations. A video of a few men who proudly wear our letters. 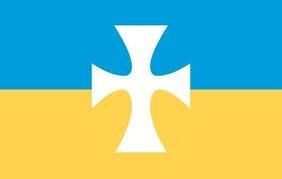 If you would like more information on Sigma Chi, please fill out this form below. Our Rush Chairman for the Fall of 2015 is Alex Carterl. If you have any questions, please contact him. His facebook, twitter, email, and cell phone number are all listed below.